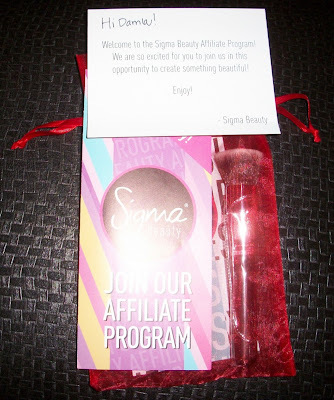 As I'm the affiliate of Sigma, I have a chance to do a review and giveaway for my dear readers! Sigma sent me the F80 - Flat Top Kabuki for review. It came in a very elegant red tulle bag with some brochures together. I loved it! The F80 Flat Top Kabuki brush is perfect for applying and blending liquid, cream, and powder products onto the skin. The flat surface allows perfect buffing with flawless results. Synthetic Sigmax HD filament. This is the softest brush I have ever seen! I tried it on my cheeks and I felt a very relaxing sense on my face. It doesn't irritate or itch your skin and you can apply your makeup very easily. It is very comfortable to hold. You can use it for both liquid and powder products such as foundation, blusher, etc. Applying makeup will be very enjoyable with this brush. PS: I have an idea that I can also use it to remove the small makeup pieces falling on my face when I use eye shadow powder :) Very functional! BUY IT: You can buy this brush and many other products including pocket mirrors, makeup bags, etc. HERE. Follow my blog publicly and visit Sigma and leave a comment here. +1 "Like" Sweepstake Lover on Facebook and leave your name, and/or profile link. The contest will end on May 23, 2011 at midnight (Turkish time / EET). Open WORLDWIDE. Winner will be chosen by random.org and notified via e-mail. The winner must respond within 48 hours or another one will be chosen. 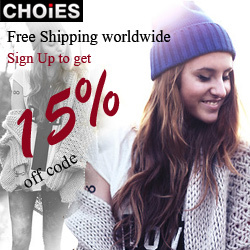 * I received the abovementioned free item for an honest review. I'm not responsible for the shipping of the prize. I'm an affiliate of this company. I add you as a friend on Facebook as Miriam Rivas. I liked Sweepstake Lover on Facebook as Miriam Rivas. I like Sweepstake Lover on facebook as Maribel Fuentes. Visited Sigma and I love their brushes! 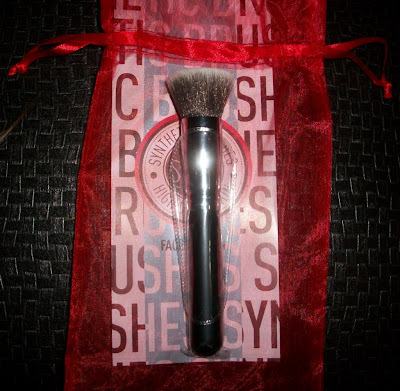 their brushes look awesome and cant beat that price!fast drying brushes! nice! Visited the Sigma website. I also like the Hollywood Glamour Kit - Something About Marilyn. They have a really nice (and affordable) range of cosmetic tools. I sign up in "weusecoupons"
I follow ... wondering if there brushes are cruelty free? I follow you, and I've heard good things about these brushes. 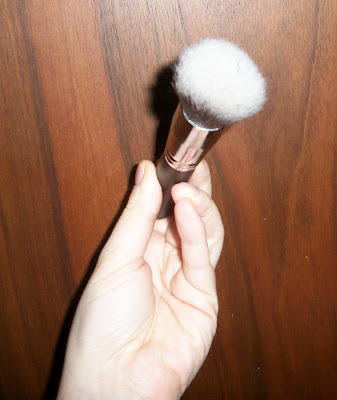 The F80 is a great brush and it's perfect to apply makeup.